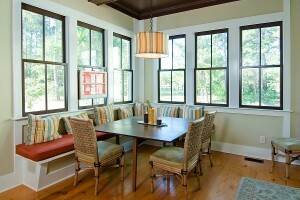 Energy efficient windows can offer superior insulation for your home in the Stoughton, Wisconsin, area. If you’re in the market for new windows, turn to the experts at ABC Seamless Home Specialists. Since our inception in 1975, we’ve been selling and professionally installing new windows for homeowners in the area, and have earned a trustworthy reputation based on the quality of our products and our dedication to customer service. Thanks to the superior insulation that these windows provide, you may very well notice a drop in your monthly energy bills. The savings that you will enjoy is well worth the cost of your investment in making your home more energy efficient. Plus, windows from ABC Seamless Home Specialists are built with unplasticized PVC, a vinyl polymer that is known for its durability. In fact, this material stubbornly holds up to prolonged exposure to weather and is resistant to fading, cracking, or warping. What’s more, you’ll never have to paint your new windows since the color is built in. For more information about how our energy efficient windows can improve your home, call ABC Seamless Home Specialists today. We proudly serve homeowners located in and around the Stoughton, WI, area.